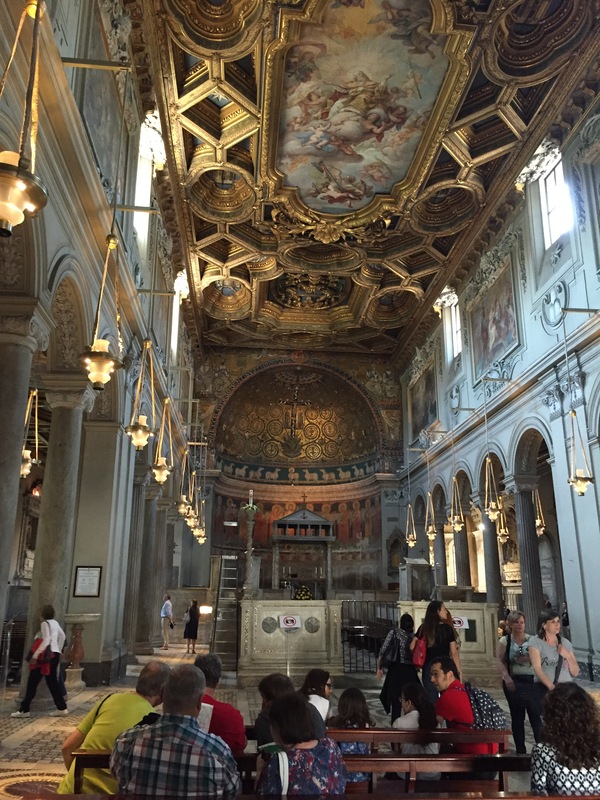 Rome is full of fascinating and historical churches on nearly every corner, but this one manages to stand out. On first impression, San Clemente looks like a beautiful, but fairly standard (for Rome) Catholic church. But a staircase just off to the side of the main sanctuary leads down away from the modern, still active church (where there was mass being offered during our visit), through centuries of church history. 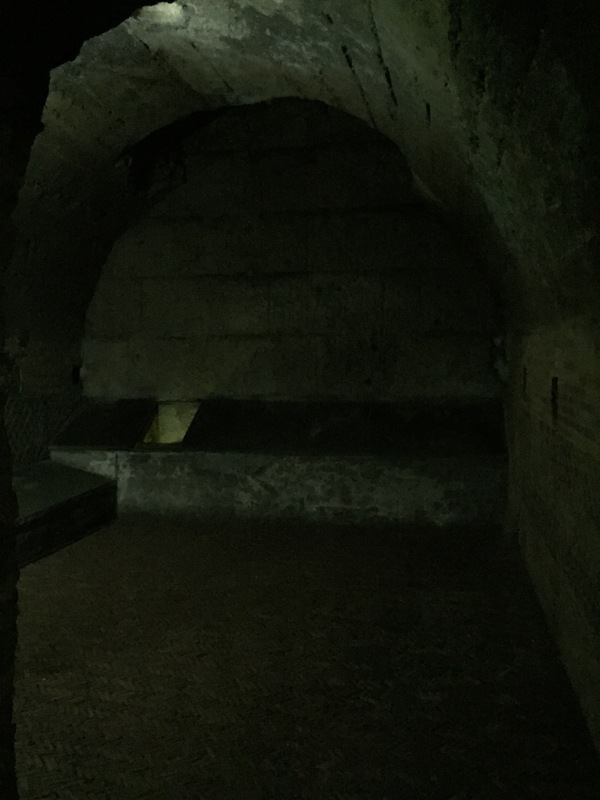 Underneath the modern basilica sits a far older, medieval church. The paintings and structures are, understandably, faded and chipped, but the shell of the church still stands. 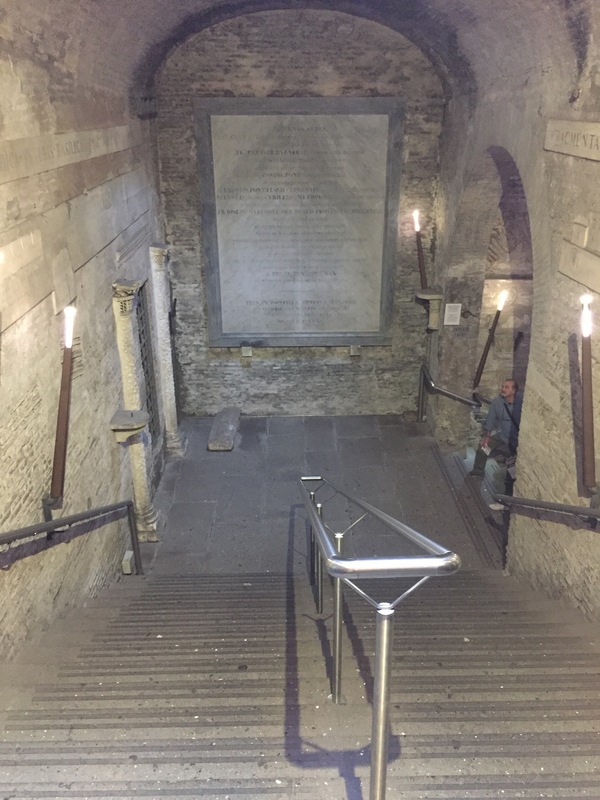 Another set of stairs takes you even further underground, where an ancient Roman treasury once stood. 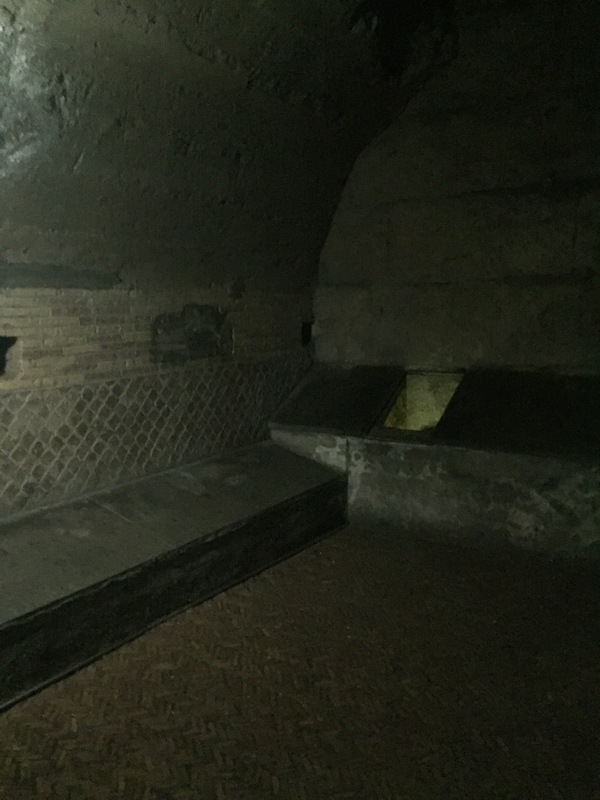 In the third century, this became a Mithraeum, a meeting place for a Persian cult. 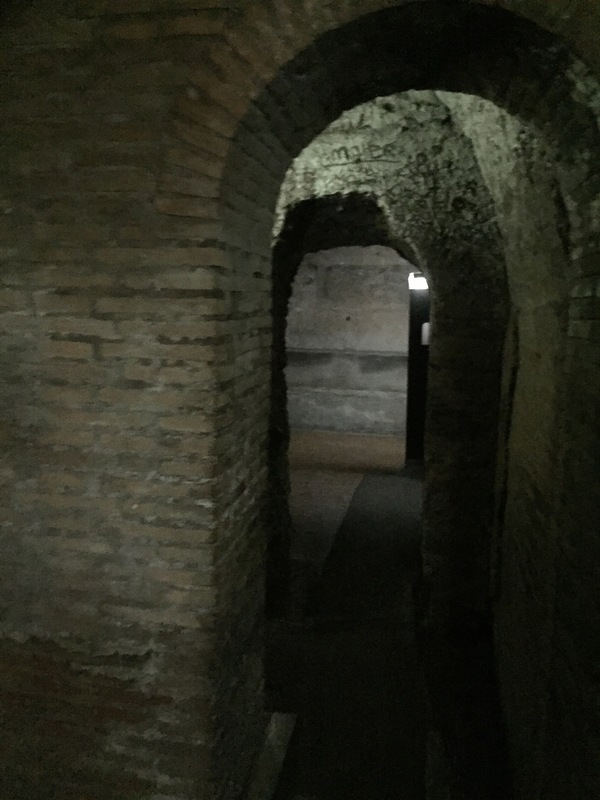 Near this was a large Roman house, where tradition holds that the early church met during the second century. These lower levels were lost to time, until an enterprising priest named Father Mullooly began excavations under the church in 1857. St. Clement, after whom the basilica was named, was an early church father and traditionally held to be one of the first bishops of Rome. At least as early as the third century, he was also recognized as the Clement that the Apostle Paul mentions in the Book of Philippians. 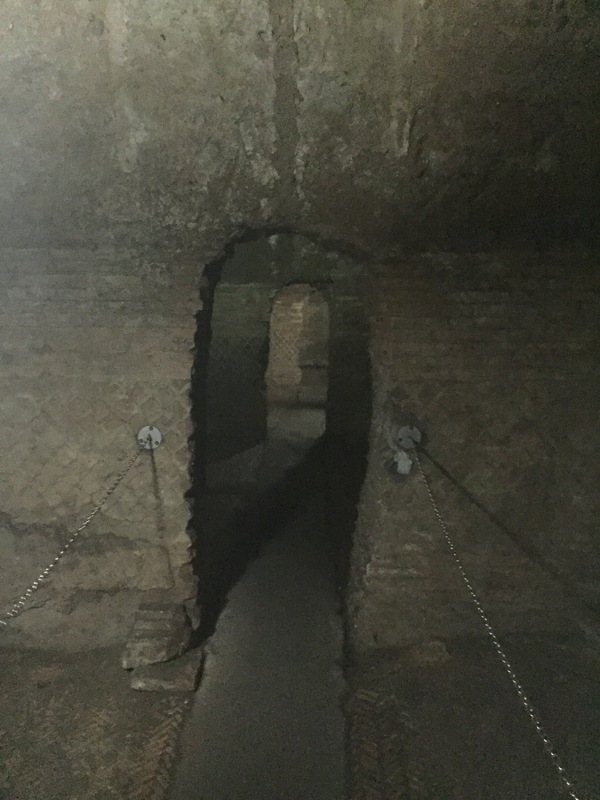 If you’re interested, you can see a good virtual tour (and much better pictures) of the basilica, including the lower levels here. Another view of the house. Some modern visitors had scribbled graphiti on the wall to the right. Not much, but too much for a 2,000-year-old ruin.